The 4th annual event will explore the latest trends, connect 250+ key stakeholders from across the continent through keynotes, breakout sessions and networking events. 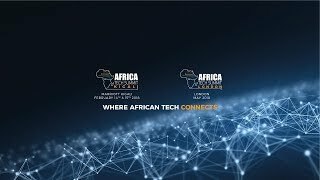 Africa Tech Summit London was launched in 2016 to share globally the growth in the tech ecosystem across Africa. The mobile first continent provides opportunities that previously did not exist for investors, entrepreneurs and corporates. The vision for the first Africa Tech Summit London was simply to bring together these great companies and initiatives across the continent and connect them with international ventures, investors and entrepreneurs who were truly focused on business and investment in Africa. Learn from 50 expert speakers and investors with passion, knowledge and experience from across Africa who share key insights, opportunities and trends from the African tech and investment ecosystem. Previous speakers Include IFC, EcoBank, Savannah Fund, Etisalat Nigeria, Draper Dark Flow, Safaricom, Atlas Mara, FNB, Standard Bank, Opera Software, BRCK, BBOXX, CcHUb Nigeria, Orange Digital Ventures, Leapfrog Investments, Barclays, ABAN, TechStars, MEST, Standard Chartered, Worldreader, Linklaters, Mobi Hunter, Singularity Investments and BitPesa.